It wasn't the first time I've seen James Taylor. In fact this could have been the 10th or 11th or the 20th. I've lost track. I do remember the first time though. And I remember how his music has been a thread weaving together the soundtrack of my life. We went to the Carole King - James Taylor - Troubabour Reunion Tour Concert last night. It was great! Taken from our seat at J.T. - not the screen. Interesting when something is so close to our heart, yet we rarely talk about it. Music is that thing for me. Let me take a step back. 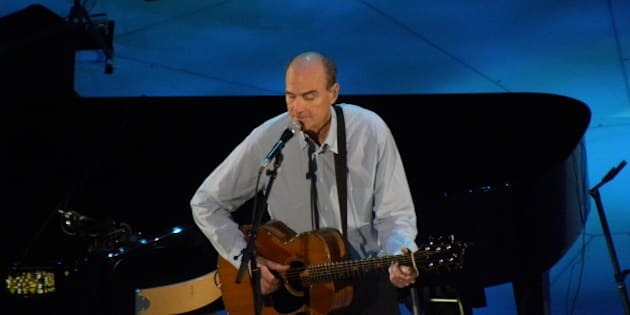 Seeing James Taylor again in Toronto at the Molson Amphitheatre recently, brought back memories. Not only my personal memories, but my generation's memories, and the memories of someone close to me. It got me thinking of how many times James Taylor is mentioned in my book Confessions of a Middle-Aged Hippie. Although Daryl Hall has almost an entire chapter in the book, James Taylor is peppered throughout. His music is like a longtime friend I've always counted on to be there for me. 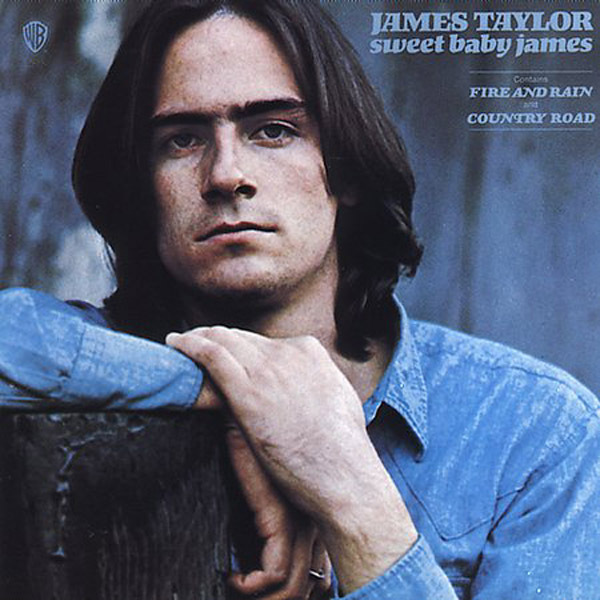 His 1970 album Sweet Baby James, was the one I'd listen to when I was in debilitating physical pain suffering with undiagnosable health issues. His soul-filled angelic voice and soothing lyrical melodies always helped to ease my pain. Quite literally. No surprise. Music has that power. The ability to relieve pain is among music's many well-known healing properties. In December of 1970, I was in the audience at Massey Hall for his original Troubadour tour. Surprise guest, Carol King. Her first time going out on tour as a singer, known until then as a prolific hit songwriter with husband and writing partner, Gerry Goffin. That night has other special personal memories of a "first time" for me as well, however, that story is reserved for Confessions. When Taylor performed King's 1971 hit song "You've Got a Friend," he remembered how the first time he heard her play it, (when they were both performing at the Troubadour in L.A.), he grabbed his guitar to learn it immediately, reflecting, "I didn't know (then) that I would be playing it every night for the rest of my life." Opening the show with fan favourite "Something in the Way She Moves," Taylor, who has a rich sense of humour, joked it was a good concert icebreaker for him. He recalled how he first performed the song in front of Paul McCartney and George Harrison in 1968, before he was signed to Apple Records, so performing it for all of us, didn't make him nervous at all. Here's the part where someone else's firsthand memories of James Taylor come in. My former husband Doug Billard, whose adventures in the music business could fill an entire book themselves, has an incredible wealth of amazing stories he's shared over the years. He happened to have landed in New York in 1968, with his band The Central Nervous System and ended up as a doorman at the legendary Night Owl Café, in the heart of Greenwich Village. The Night Owl was where James Taylor began, playing there for seven months as part of The Flying Machine, before he quit the group and flew off to London. Doug was there and remembers him well. Doug reminisced that James was a wonderful person to talk to, a gentle soul who often kept to himself. And how there was a truth to his lyrics that spoke to the heart. So many of us have loved him for the same reasons throughout the years too. The Night Owl was also the launching pad for many other soon-to-be famous musicians, among them John Sebastian (Lovin' Spoonful) and Gary Bonner and Alan Gordon, performing as part of the group, The Magicians. 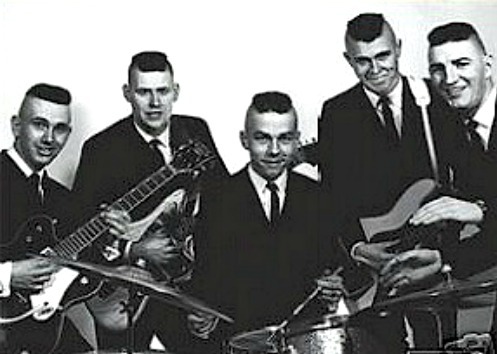 (They wrote the hit "Happy Together" for The Turtles and hit songs for many others too). They all got their start there. Doug remembers every detail, as if it were yesterday. It's also where Doug and fellow Canadian, David Clayton-Thomas (who became the lead singer for Blood, Sweat and Tears) would have singing jams every Saturday afternoon with the various groups playing the Night Owl. The energy of the place, the people and the time was contagious and Doug was inspired to write his first song "Walk in The Sunshine", on a sunny afternoon stroll to Washington Square Park. Memorable times indeed. Would You Like to be The Monkees? Doug was smack dab in the middle of where it was truly all happening. His band had played a one-night gig at the famous Arthur Discotheque in New York in the mid-'60s, resulting in what sounded like an outlandish invitation. "Would you guys like to be The Monkees?" Not knowing what the opportunity would become, they thought the person offering it was crazy. Doug laughed when he remembered the group's quick unison reaction, "You want us to be WHAT?" Who knew. Even earlier in the '60s, his group The Beavers, (with their unconventional Iroquois haircuts) was on the verge of signing a major record deal with London Records, when they got the news that a then unknown British group, had swooped in and landed the deal instead of them. Who was that unknown British group? The Rolling Stones. Interesting times. Rife with opportunity and memories that last a lifetime. My memories of my years in the music business are very different. The '60s were a fertile birthing ground for a new era in music and so much of today's popular music came out of this period in our history. My entry into the music business wasn't until the early '70s, singing with show bands, touring small-town Ontario, before Doug and I formed our own group. Our dream -- to make it BIG. 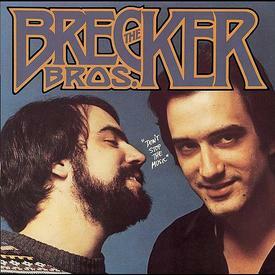 Perhaps one of my most vivid music memories is of when Doug and I were flown to New York in 1977, to sing back-up on our song "As Long As I've Got Your Love," which the popular New York fusion/R&B duo The Brecker Brothers were recording for their new album, Don't Stop the Music. Excited and a bit in awe when we arrived at Atlantic Studios, before we entered Studio A to record, we had the chance to tour a rather disheveled Studio B. Curious who had been there last, we were casually informed that Ringo Starr and the Rolling Stones had recorded there the night before. So close. For as long as I can remember, music has been a constant in my life. From my early love of performing musical theatre, to my time as a singer in a "rock & roll" band, to my passion for writing songs. Music has been there. Much of this I write about in Confessions, yet I've rarely shared it anywhere else. Music continues to heal me. It has comforted me during some of my most challenging times, always uplifting me. Writing song lyrics brings me joy and stirs my soul. But then, music is its own language. A language everyone understands. Those closest to me know my heart has always been with music and songwriting, yet sometimes life has other plans for you and steers you in a completely different direction. This myriad of memories came flooding back, compliments of seeing James Taylor again. His voice and his music continue to speak to not only me, but to a loyal generation of fans for 45 years now. Quite a legacy he is leaving. What more can I say? Thanks J.T. for the music, the memories and the healing. See you again next time.